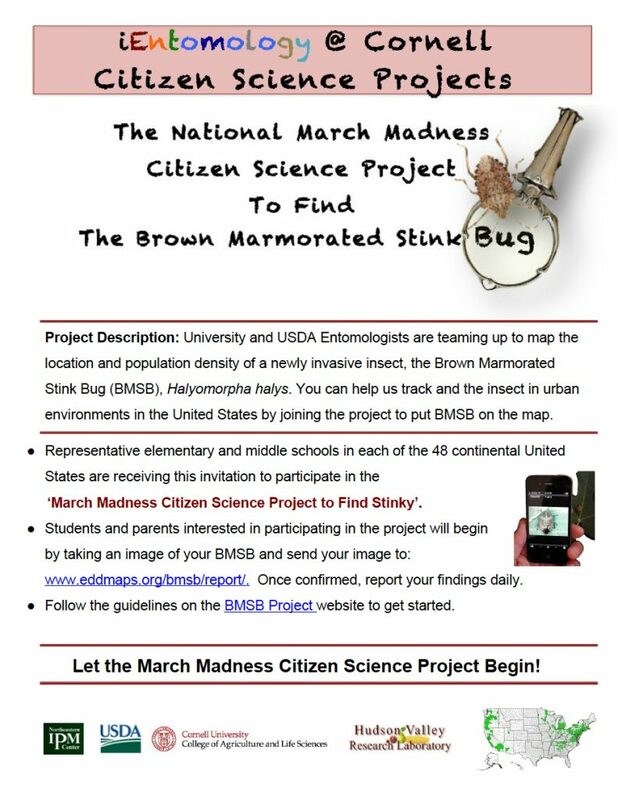 Representative elementary schools in each of the 48 continental United States are receiving this invitation to participate in the ‘March Madness Citizen Science Project to ‘Find Stinky the BMSB’. Students, along with their parents interested in participating in the project, will begin by searching for the insect indoors. They often reside in the upper flloors of a home, and rarely in the basement. Refer to the Look-A-Like page to be sure the insect is indeed a BMSB. Then follow the Guidelines below to collect and enter your findings. Step 1. Join the project by first identifying your insect as a BMSB. Step 3. Each day from March 1st-April 31st, you will count all of the adult BMSB in your home. Step 4. Enter your data online. •	If you do not see any BMSB enter zero into the box that says “Number Observed”. Remember that ZEROS ARE IMPORTANT so let us know if you don’t find any. Using a smart phone or camera, take a clear image of the adult so we can easily identify the insect. If you are using a computer, send the image from your phone to the computer via email. Download the image onto your computer and upload the photo by selecting it using the ‘Choose File’ button. Be sure to use a representative image of your BMSB sightings; Use a second image if possible by flipping the BMSB over (carefully) and take a picture of the underside/bottom. This allows researchers to determine if it’s a male or female BMSB. You are not required to provide contact information in order to submit your sighting. Whether or not you do so after you “Submit” your sighting you will be given a Record ID number for your submission; once your submission is reviewed by research staff you would be able to find it by that number in the data online. The project will end on the 31st of April at which time the distribution map of urban BMSB populations will be completed. 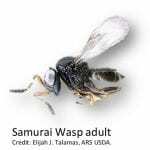 Next on our bucket list…to distribute the Samurai Wasp, a beneficial biological control agent of the Brown Marmorated Stink Bug (BMSB), to urban, suburban and rural communities and agricultural farms throughout New York State. This micro hymenopteran parasitoid is capable of lowering the population and keeping BMSB in check. This will be a big help for farmers who have had this Asian stink bug damaging their crop over the past 10 years. 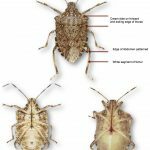 Homeowners will also be much happier to have fewer stink bugs residing in their homes during fall, winter and spring. History and Biology of the BMSB: The insect is originally from Asia. It was first detected in Pennsylvania in the mid-1990’s and quickly spread throughout the mid-Atlantic states. In agricultural, landscape and urban environment the insect has become a pest as if has a broad plant host range, feeding on fruit and vegetable crops and invading homes in the fall to seek overwintering shelter. In its native environment it lives in deciduous trees such as the tree of heaven where it uses its piercing and sucking mouth parts to feed on plant juices. In cold climates in the fall, the BMSB moves into the bark of decomposing trees or finds shelter in homes or other man made structures. It produces a chemical we call an aggregation pheromone to call to other BMSB to that location for larger numbers of adults to overwinter together. 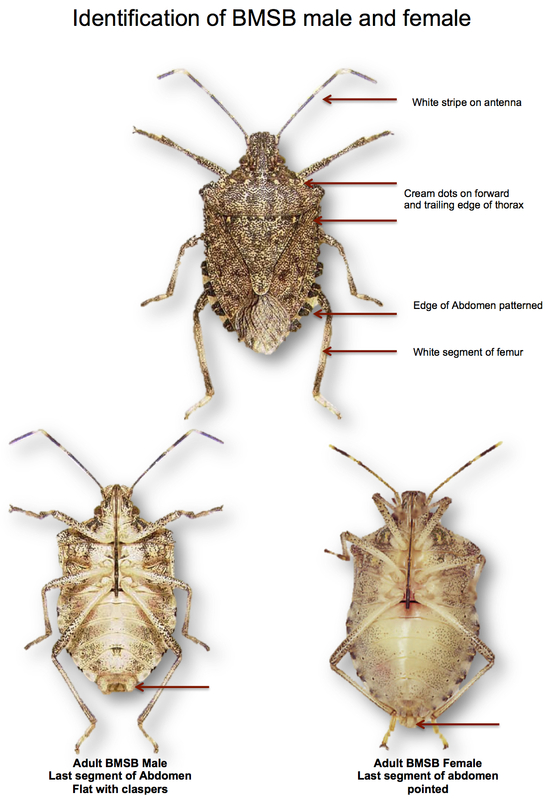 In the US, the early spring tends to be when Brown Marmorated Stink Bug begins to move about in overwintering home sites as they attempt to find a way back out to the forest. Just Ask: Stink Bug Invasion; Is a Wasp the Solution to Save Valued Crops? Next on our bucket list…to distribute the Samurai Wasp, a beneficial biological control agent of teh Brown Marmorated Stink Bug (BMSB), to urban, suburban and rural communities and agricultural farms throughout New York State. 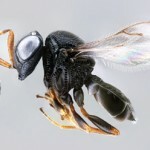 This micro-hymenoptera parasitoid is capable of lowering the population and keeping BMSB in check. This will be a big help for farmers who have had this Asian stink bug damaging their crop over the past 10 years. Homeowners will also be much happier to have fewer stink bugs in their homes.